The excellent DURA have posted a review of ‘Flocks of Words’. I am absolutely delighted by this beautifully written and thoughtful exploration of my poetry collection. I feel very well understood! Many thanks to the reviewer, Susan Haigh, for her time and enthusiasm. Read the original here DURA review site or you can read a copy of it below. beings lived, one of each kind. Divided into five sequences, the collection moves back and forth through time, from pre-history to the present day, through vast land- and space-scapes, often with troubling scenes of biblical horror amidst images of the Creation.But the clear poetic stream running through all Innes’s poems (yes, she is obsessed with water) is a seemingly boundless imagination and immersion in the ancient world, often also closely bound up with images of both water and the universe. Her imagery is often startling, panoramic, spine-tinglingly thrilling. Elsewhere she focuses in on the minute, “the gyroscope of butterflies, / waterboatmen and the rifle sight/of the heron” (“Where it May Lead”) or on the discomfiture of a boy fishing and his inability to accept the distress of the caught fish. (“Fishing”). In “The Morning Path” Innes refers to the earth as a “familiar body” and, in “Late Light”, the sun belongs to the whole world, shining not only on her but on “all the Russian steppes”. Again, the collection invites the reader to look beyond the immediate environment, while also delves into the mysteries of the natural world. “Snowfall” focuses on the miracle of snowflakes, “… unseen/laws of our constrained belief, /fragile pieces of divine space.” Innes’s integral connection to the earth and to the universe is profoundly spiritual and overt: “I am part of the universe” (“Constellation”). Its magic and mysteries are as important to her as those matters offered by the real world. 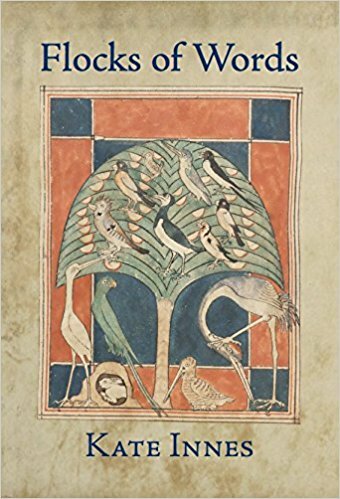 If Innes’s work is widely informed by other artists, painters and wordsmiths – Christina Rossetti, van der Weyden, Velazquez, primitive cave painters in France and the stained-glass artist Margaret Agnes Rope – it is her broad and yet intense observation of nature which, for this reader, makes this collection very special. In “Spring”, lambs are described as “just bones/covered in a crochet of silky wool.” And in “Sleeping Dogs”, she allows the creatures to sleep – “Let them dream/, the wolf inside”. The gory nature of childbirth, too, comes into the great pattern of Innes’s poetic thought in a collection which will tempt the reader to return again and again to her observations in this lovely work. I look forward to her next collection.